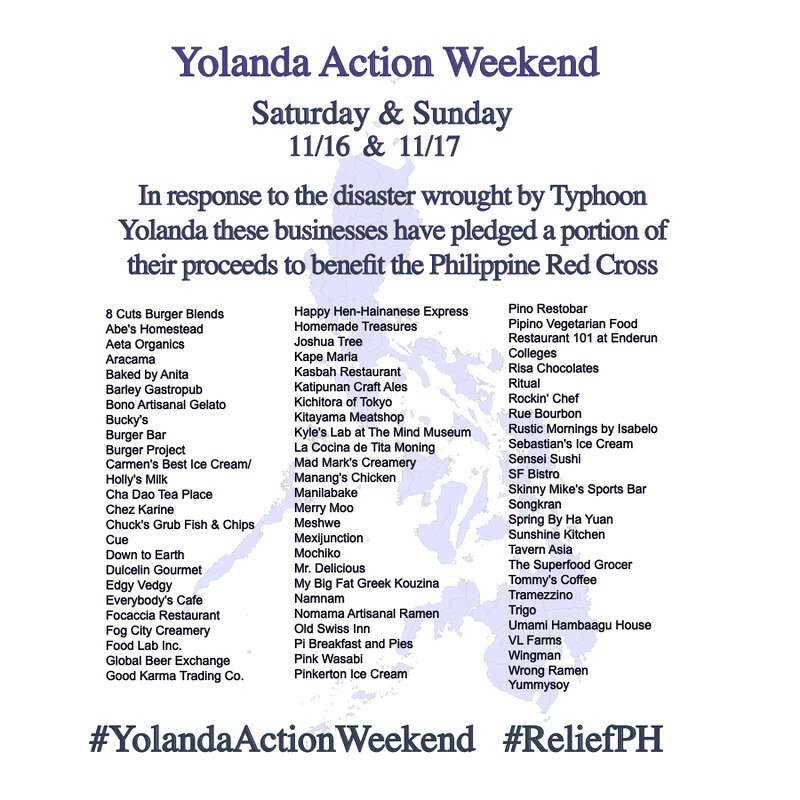 What are the things we can do to help the victims of Typhoon Yolanda / Haiyan? a) VOLUNTEER - yes, there is a need of volunteers to help repack the donated goods. Volunteer here in Manila, or better yet - if you have the means go to Tacloban to see what you can do to help. b) DONATE- in cash or in kind. Whatever it is, its a donation. It will be highly appreciated. c) PRAY - yes, Praying helps. Say a prayer or two everyday for the victims. d) Share RESPONSIBLY on Social Media - information is power and social media is one of the fastest means that is available. But please share only verified information, in times like these - we need to be socially responsible what we share to the world wide web. Adding insult to injury doesn't help. What we can do? Filter what we share. Comment only when necessary. 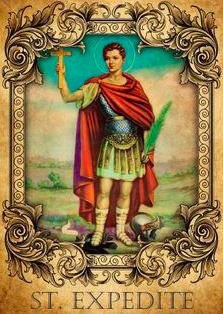 I have been very quiet on social media because I don't want to sound like a know it all or preachy. Let's do what we can to HELP even if it means, just biting your lip on certain issues that you really want to react to. I have been wanting to post and tweet, but then I realize - negativity won't do any good. So let's do our share, VERIFY first before we post passed on information on the web. I am overwhelmed by the humanitarian aid that we have been receiving worldwide. How I wish everyone was this nice. In a perfect world, if we can all just get along and help - then the world will become a better place for our children. Thank you to those who have volunteered, donated and prayed for our country. Thank you from the bottom of our hearts. I'll make it simple for you folks, just use Rafflecopter form below and voila - entries made!! This giveaway will run starting today and will end on December 15, 2013 - that's more than a month! So hurry and spread the word! 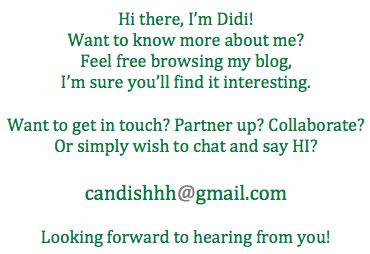 You can tweet everyday if you like to earn more chances! 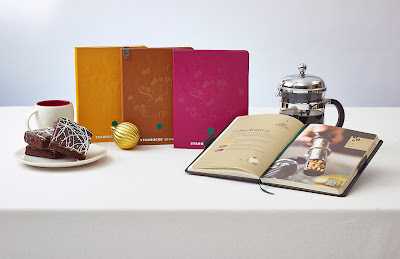 All Philippine residents are eligible to join, just make sure you can pick up the Starbucks 2014 Planner in Quezon City. You may ask a representative to pick it up on your behalf in case you live far away..
UPDATE: I'm giving away a Starbucks 2014 Planner in Yellow!! This year's theme is Create Wonder, Share Joy! And Starbucks is doing just that! 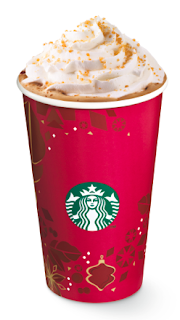 And I'm excited to share with you the three holiday drinks this year! This seems to be most everyone's favorite. And I'm so glad its back (well, it always is back!) because I look forward to this drink every Christmas! This drink will definitely be always representative of Christmas because of candy canes! What different this year? 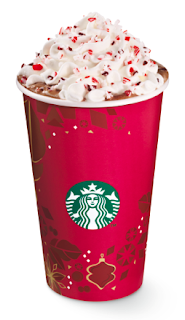 Instead of peppermint sprinkles, this year Starbucks is using crushed candy canes as the topping! Believe me, it makes ALL the difference. 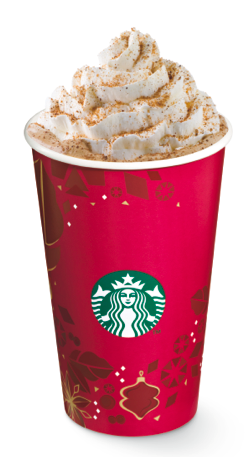 This is the new addition to complete the trio of Holiday drinks. I must admit - when I tasted the hot treat, it was LOVE at first sip! I"m sorry, but I have a new favorite this year. It tastes so wonderfully Christmas! I know its odd, but the taste reminds me so much of Christmas! It was only after a few minutes that it dawned on my that the drink tasted like - Cookie Butter! Yes - this is the coffee version of the cookie butter! So, I'm sure this will be a hit this year. So there, a preview of this year's holiday drinks! It will be available starting tomorrow! So start collecting your stickers for the 2014 Starbucks Planner! Remember to use your Starbucks Card in purchasing your drink because not only do you earn a sticker, you earn a STAR as well! Officially, let me greet you - a very Merry Christmas!! UPDATE: I'm giving away a Starbucks 2014 Planner in Yellow! 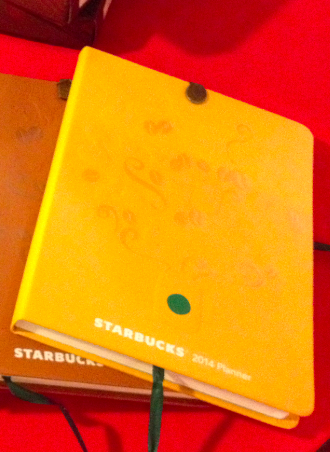 I'm sure EVERYONE is excited to get a preview of the 2014 Starbucks Planners! This year's theme is representative of the Blonde, Medium and Dark roasts. Option 1 - You will need to collect eighteen (18) stickers - nine (9) Christmas Drinks and nine (9) Core Beverages. Option 2 - Load P5,000.00 on your Starbucks Card and voila - a free 2014 Starbucks Planner! Option 3 - Do your Christmas Shopping at Starbucks - with a single receipt purchase of P5,000.00 worth of Starbucks merchandise, food items, coffee, coffee beans, etc. and you get yourself a 2014 Starbucks Planner of your choice! And as a special treat to us tomorrow November 2, Saturday - the first three hundred (300) customers in EVERY Starbucks branch will receive ONE free sticker on top of the one that they will get for the beverage they are paying for! Here's a tip. If you have a Starbucks Card - use that to pay for your beverage and in turn you earn one (1) star and get one (1) sticker for the Starbucks 2014 Planner! This year's planner also holds the most number of coupons in the Starbucks Planner history - the 2014 Planner carries with it - fourteen (14) coupons that you can redeem all throughout the year! So, which color are you eyeing? Me? I've got my eyes on the Yellow!